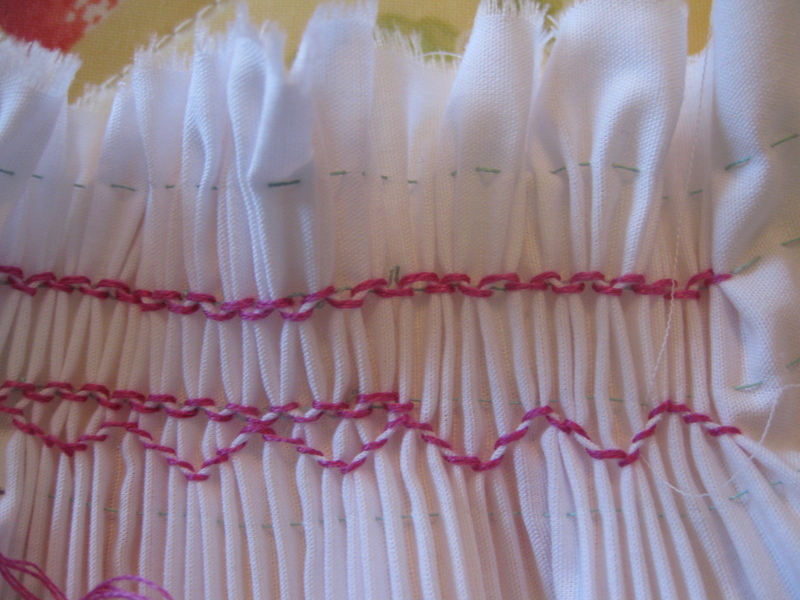 Here is a sample of what I learned yesterday during my first smocking class. It will probably take me a long time to get the stitches right, but it was so much fun! Allisha and Ann were at the Stitching Corner in Orem, Utah, with me (what fun is it to take a class without girlfriends?). I had never seen a pleater before... but I did not have to use it as the fabric was already prepared for us before class. Although sewing dresses is not my forte, I will have to learn to make a simple one so I can show off the smocking once I master the stitches. Or... I can smock to top of an apron - now that is an idea! Have you done any smocking? Do you have any helpful tips for me (books, videos, anything)? I have been smocking for 27 years. Learned when my daughter was born. On October 10, my best friend and I will be attending the Smocking Arts Guild of America Convention in Atlanta, Georgia. It's a great time of learning with wonderful women. Hope you enjoy your new found skill. I think it looks beautiful, but I don't have a clue how it's accomplished. Good for you learning something new! Salt Lake. I love it and when I get some grandchildren there will be smocking going on at my house. 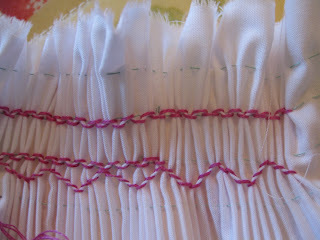 I have 2 pleaters and my favorite smocking is picture smocking. I even had a custom sewing/smocking business for awhile. I think Stitching Corner is the only place teaching now, but one of the best French Sewing instructors in the world lives in Draper.